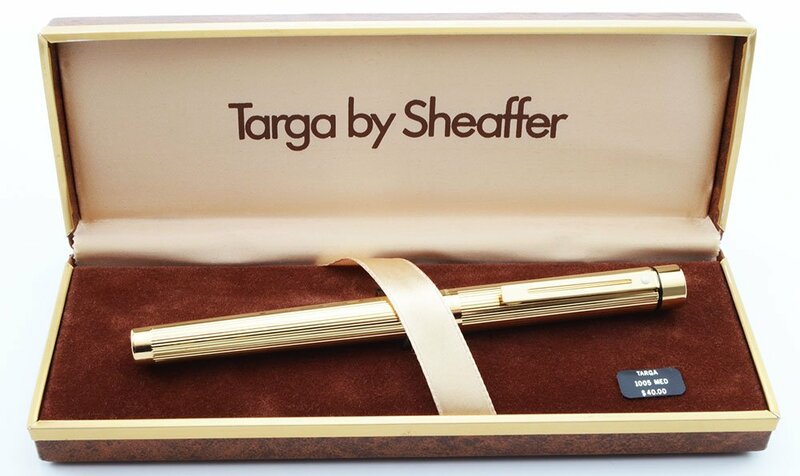 Full size Sheaffer Targa fountain pen in the gold fluted 1005 pattern made from 1976 to 1999. Medium 14k inlaid nib is smooth with nice tipping. Excellent + condition with a working converter. Comes in its original Targa box. Manufacturer and Year Sheaffer, USA - they made this model from 1976 to 1999. Filling System It takes Sheaffer cartridges, or you can fill from bottled ink using the included squeeze converter. Color Gold plated body and cap, with a lined design. This pattern is the Targa No. 1005. 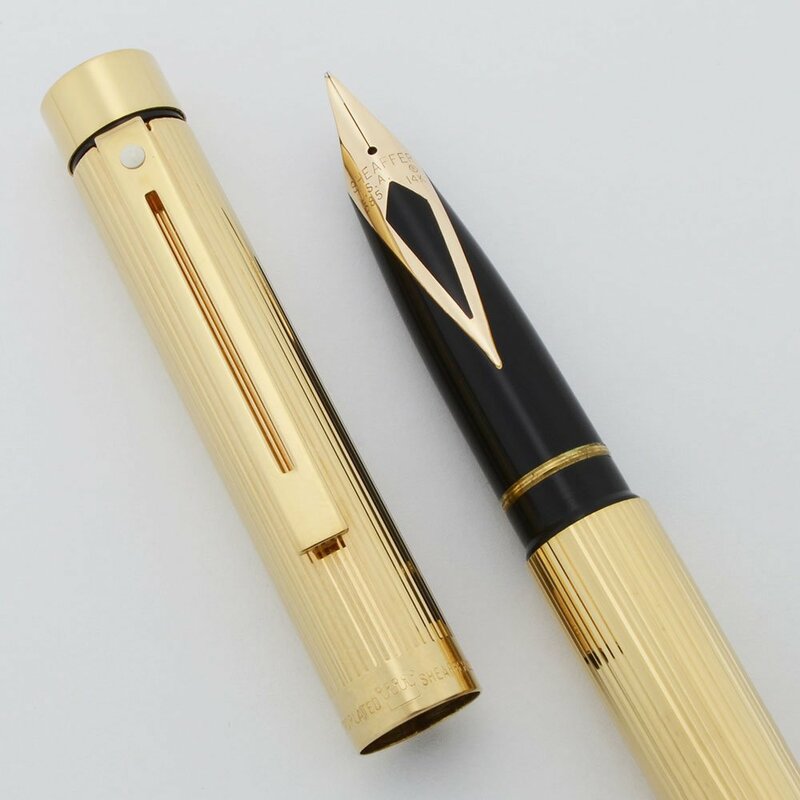 Nib Medium 14k gold nib is inlaid style and in great condition. It's smooth, with nice tipping material. The section is marked "M". Condition Excellent + condition with only light handwear and microscratches. No dents, cracks or chips, no personalization. It's working well with the included converter. The pen comes in its original mottled brown box with brown velvet and light brown silk interior.